FRANCE – MMM's "Everything is Possible"
Paris-Charles de Gaulle Airport (IATA: CDG, ICAO: LFPG) (French: Aéroport Paris-Charles de Gaulle), also known as Roissy Airport as where it’s located (or just Roissy in French), in the Paris area, is one of the world’s principal aviation centres, as well as France’s main international airport. 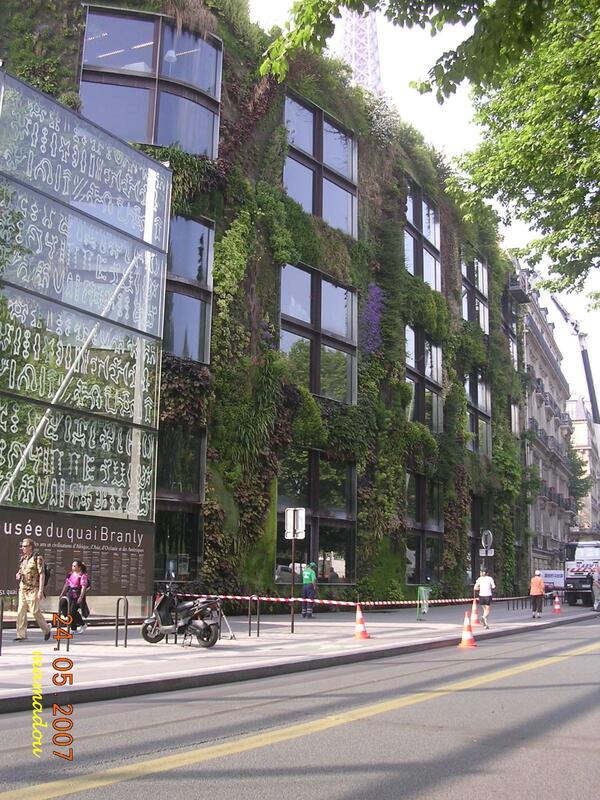 It is located within portions of several communes, including Roissy, 25 km to the north-east of Paris. Passengers waiting to board Qatar Airways to Doha. It is named after Charles de Gaulle (1890-1970), leader of the Free French Forces and founder of the French Fifth Republic. 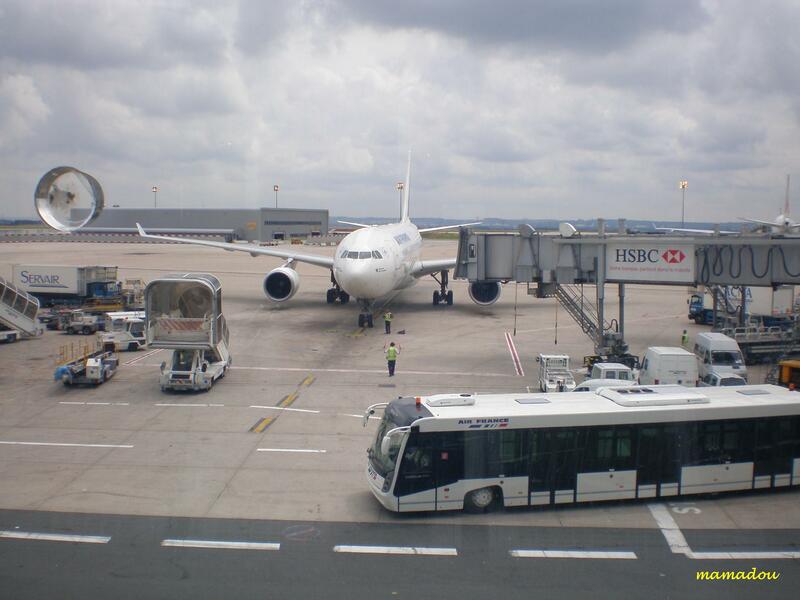 The majority of international flights land at Charles de Gaulle International Airport otherwise known as CDG. 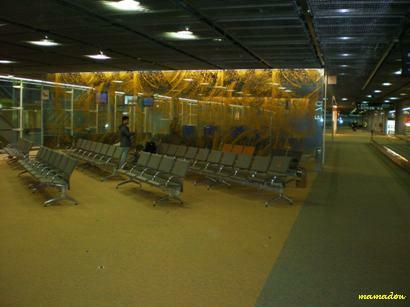 Charles de Gaulle International Airport has three terminals: Terminal 1, Terminal 2 and Terminal 3. Most major airlines fly into either Terminal 1 or Terminal 2. Terminal 1 is the oldest. 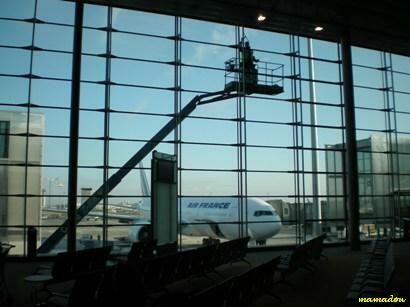 Terminal 2 was built for Air France, but now hosts other airlines too. The Terminal 3 hosts charter and low cost airlines. 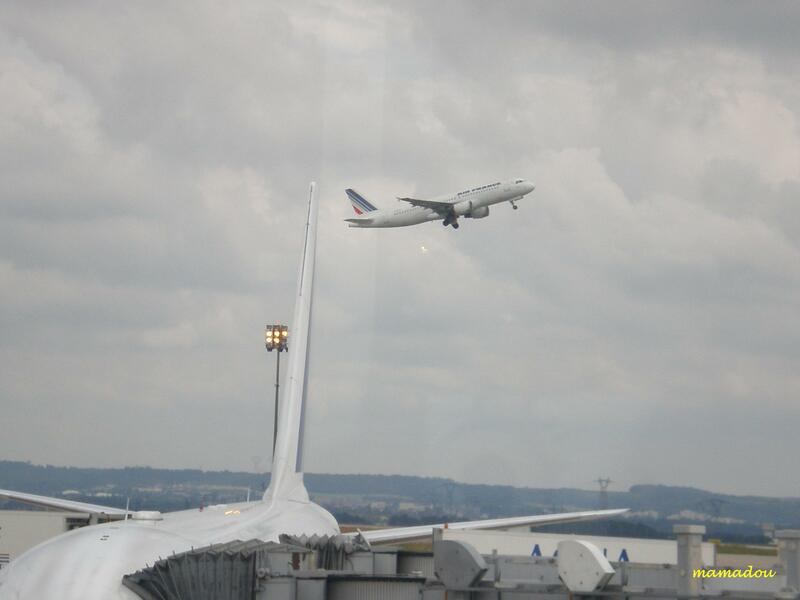 Charles de Gaulle (CDG) is France’s main international airport, and the 2nd busiest airport in Europe (after London Heathrow Airport in terms of passengers. The circular shape of Terminal 1 should make it easy for passengers to find their flights, but some struggle with the French language and signs. When it was first built, four decades ago, the terminal was praised by avant-garde architects and damned by those with a more practical view of passenger requirements. Terminal 1 has a single main building for check-in and baggage reclaim with 7 satellites for arrivals and departures. Each satellite can handle about 5 aircraft at any given time. Underground walkways with escalators and traveltors connect the satellites to the main building. Terminal 1 was built to an avant-garde design which is maintained today even though interior sections of the building have been face lifted and modernised. The biggest challenge to arriving passengers is finding their way to the correct exit for buses or taxis and those unfamiliar with Terminal 1’s characteristics can end up going round in circles. 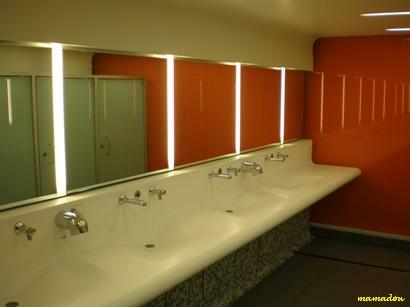 The circular design has proved something of a nightmare in a building where it is easy to get confused, lost or both. There are many stores and boutiques within Terminal 1 both before and after the security checkpoints. For this assignment unlike previous trip, most of the flights to Europe were fully booked. I believe this is due to the closure of the Bangkok-Suvarnabhumi Airport. This trip I will not get fooled again by the signage at Terminal 1. On previous trip I really annoyed as before recede Immigration counter there is one direction signage shows Terminal 2. Then I follow the direction until I exhausted. Terminal 2 is nowhere could not be seen in morning of winter season. Then I walked back and check out at Immigration counter. In this trip I proceeded to the Immigration counter. Then walk and walk to the arrival hall. Mind you walking from the aerobridge, immigration counters and then to the arrival hall would be covered the distance of more than 500 meters. 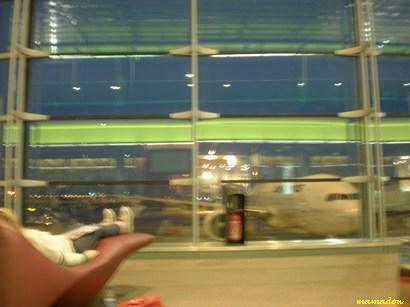 At the arrival hall I took the opportunity to rest as the sky still very dark. Tired and sleepy because of time zone different and the weather was too cold, I slept of more than one hour. I wake up look at the watch aaargh 8.10 am. Still early in the morning, sky out there still dark. 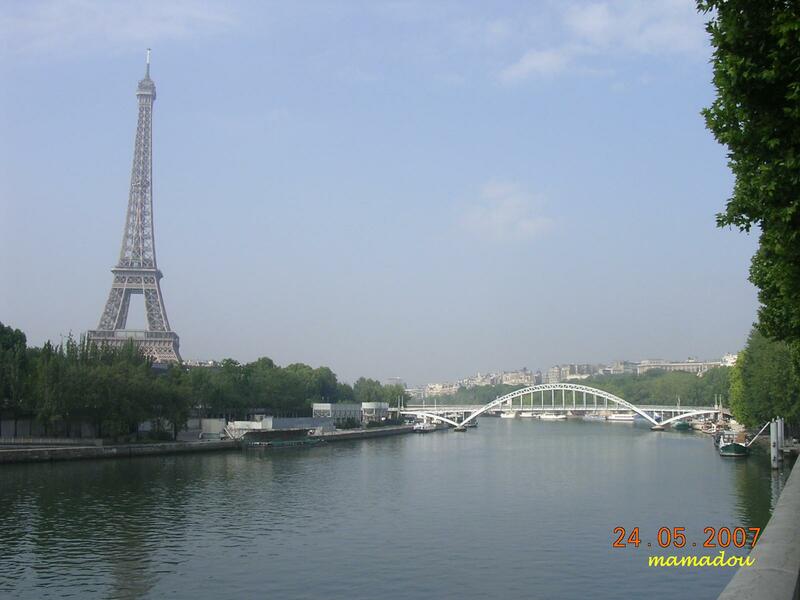 I think and decided not to go out to Paris as I could stand the winter cold at 5°C. Then I walk to Exit Gate no 34 to catch the train to Terminal 2. I decided to go Terminal 2E, another new terminal in Charles de Gaulle Airport. 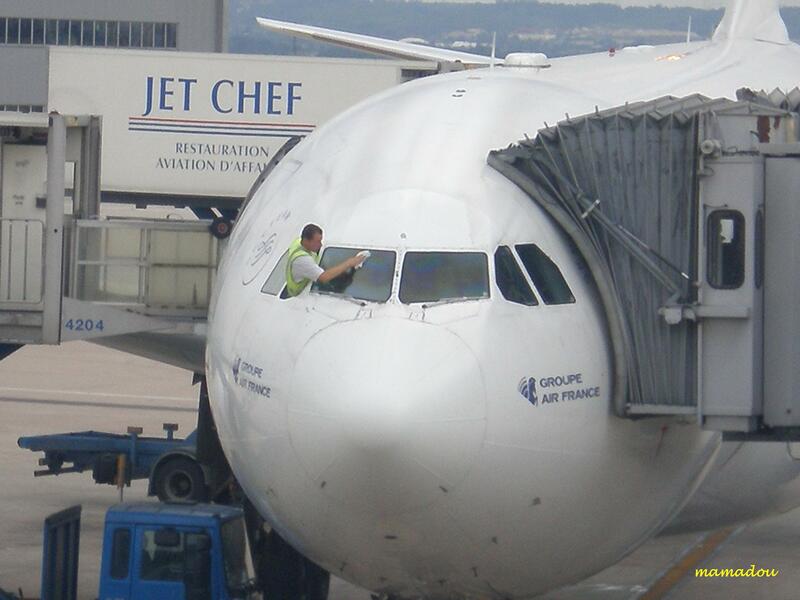 Here I will take Air France to Bamako at 4.40pm. 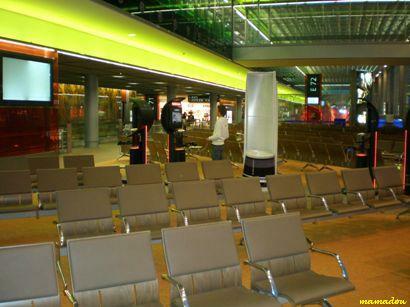 Infact another new Terminal 2G was recently open in 9 September 2008. 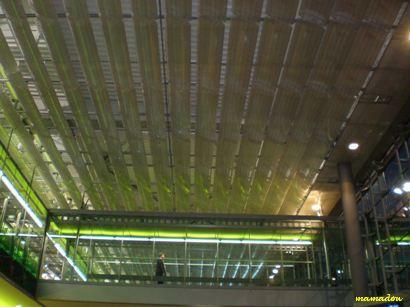 Terminal 2E was inaugurated in 2003, however not long after that on 23 May 2004, a portion of Terminal 2E’s ceiling collapsed early in the day, near Gate E50, killing four people. 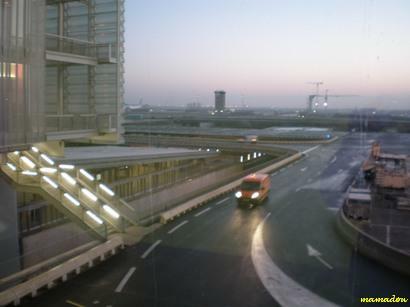 After public inquiry held, the Aeroport de Paris decided in 2005 to tear down the structure and build a new terminal building. The new Terminal 2E reopened completely on 30 March 2008. Terminal 2E houses of boarding gates nos. E21 to E47. Reading, sleeping, browse the internet, play some games at playstation, walk around are normal activities. 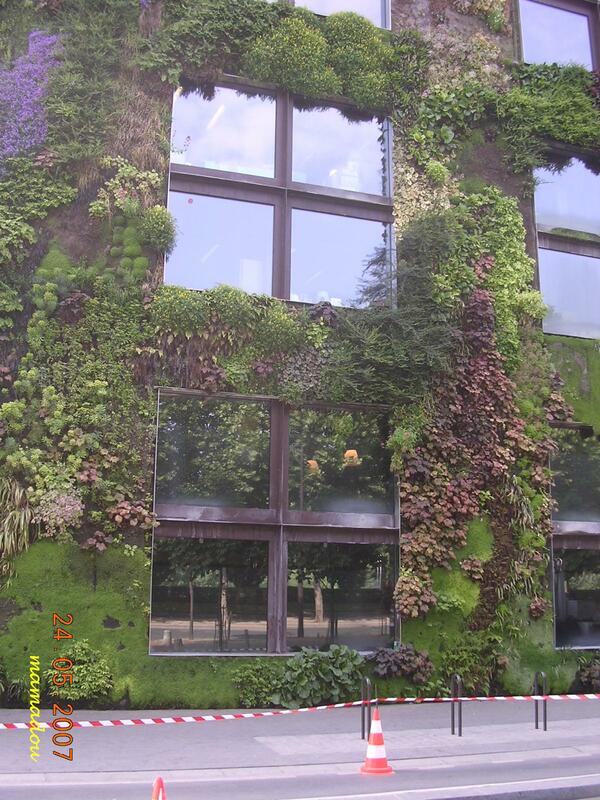 Do you think building is beautiful with its wallscape? As normally wallscape refers to billboards that create the commercial scenery in the city, this soft wallscape makes the scenery more pleasant! I have notice now there many other building try to shift the hard wallscape to soft wallscape as at the marketing office of Setia Eco Garden at Gelang Patah, Johore. 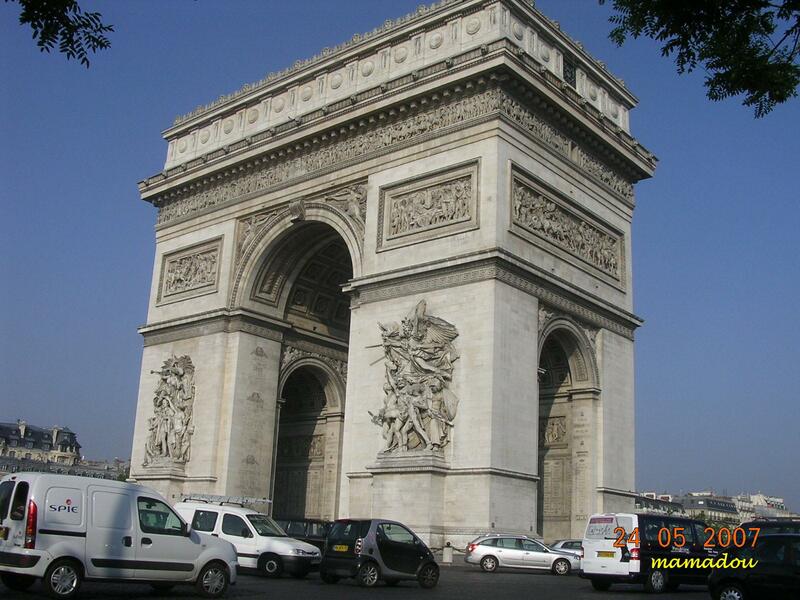 Arc de Triomphe. The massive arch stands in majestic isolation in the centre of the square. 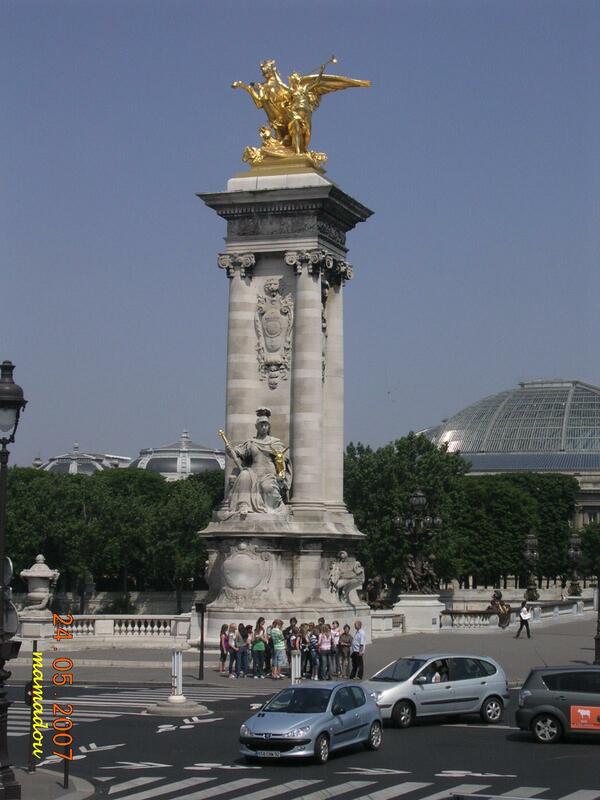 Ordered by Napoleon as a memorial to the Grand Army. Begun the construction by Chalgrin in 1806 and completed in 1836. It has a single archway, 45 metres high and 45 metres wide. 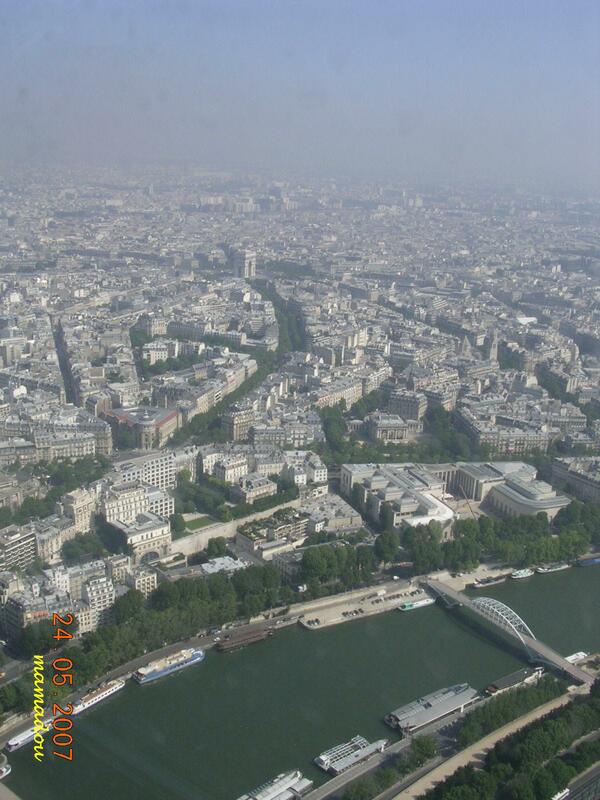 Paris is the capital of France and the country’s largest city. 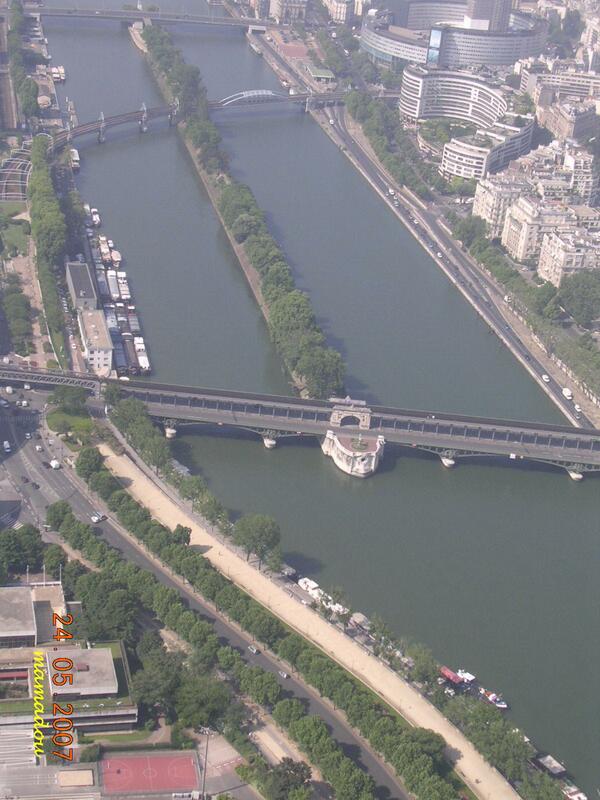 It is situated on the River Seine, in northern France, at the heart of the Île-de-France region. 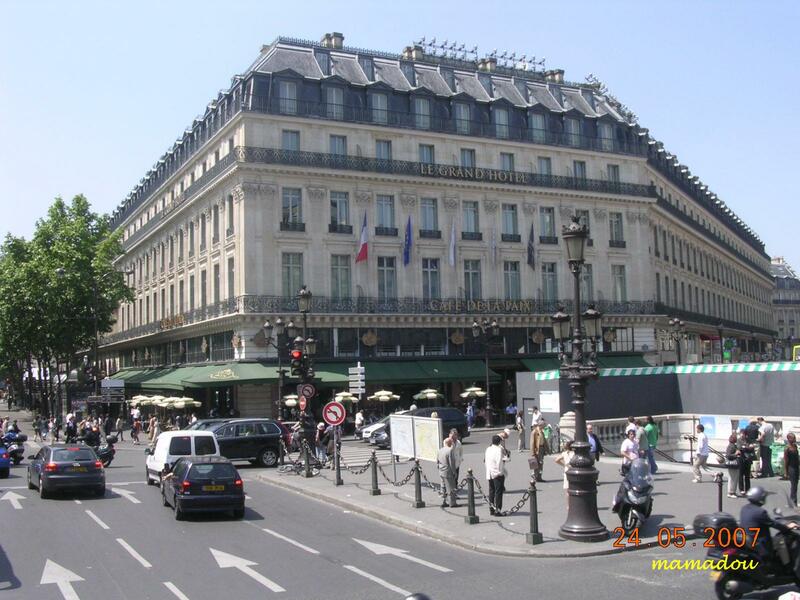 The city of Paris within its administrative limits which largely unchanged since 1860 has an estimated population of 2,167,994. 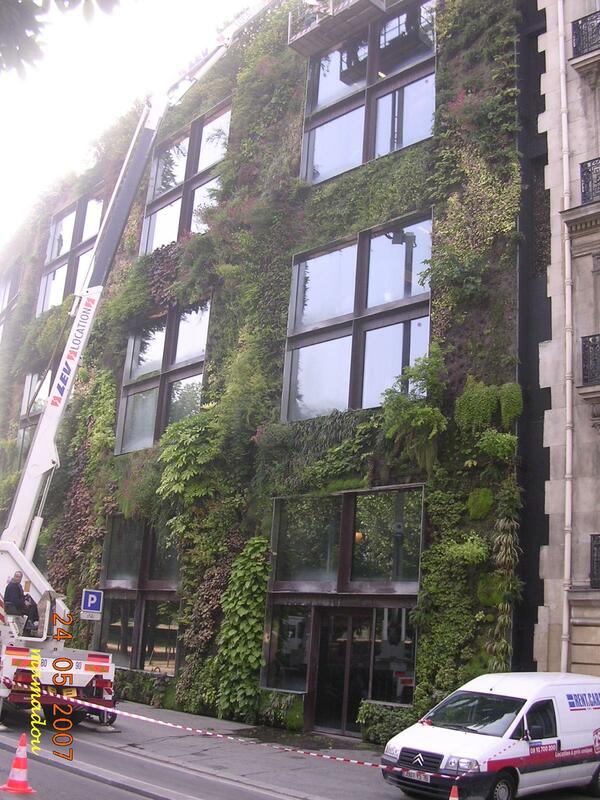 The Paris aire urbaine (or metropolitan area) has a population of nearly 12 million, and is one of the most populated metropolitan areas in Europe. 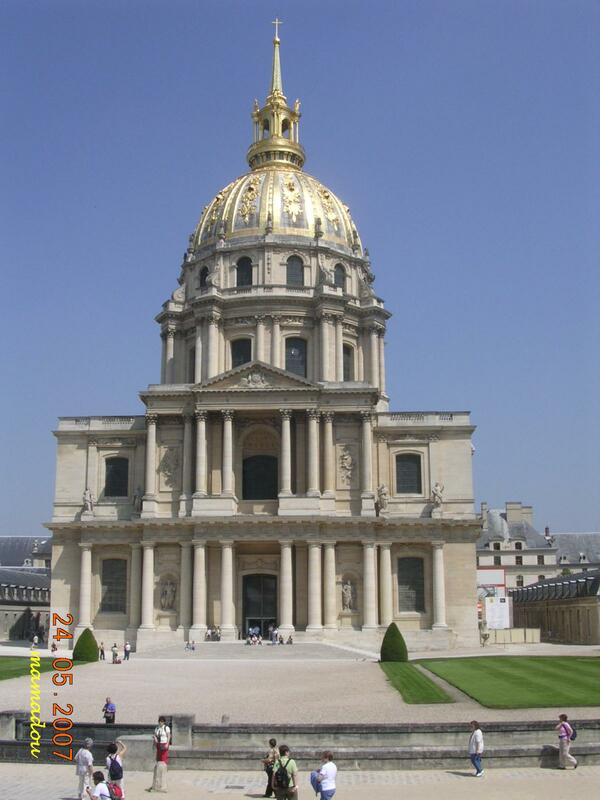 Hôtel des Invalides. In the garden in front of the hôtel, bronze cannon of the 17th and 18th century were lined up, eighteen pieces belonging to the ‘triumphal battery’ which was fired only on important occasions. 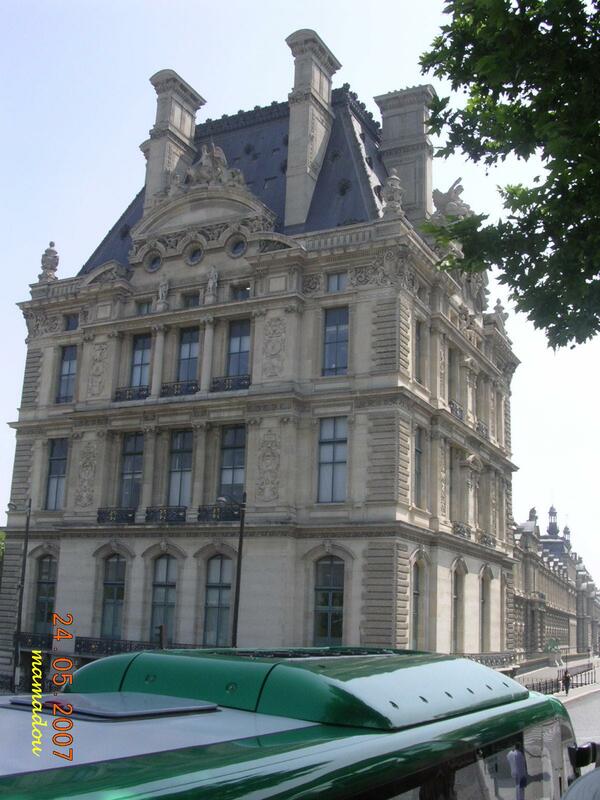 The Hôtel des Invalides today hosts important museums:The Musée de l’Armee, the Musée d’Histoire Contemporaine and the Musée des Plans-Reliefs . An important settlement for more than two millennia, Paris is today one of the world’s leading business and cultural centres, and its influence in politics, education, entertainment, media, fashion, science and the arts all contribute to its status as one of the world’s major global cities. This is at the end of Avenue Winston Churchill. 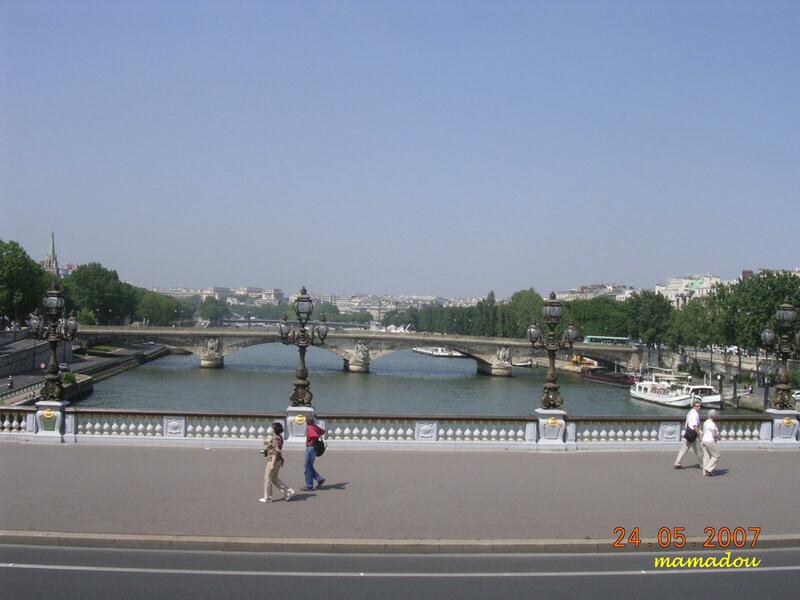 Pont Alexandre III consists of s single metal span, 107 metres long and 40 metres wide, linking the Esplanade and the Champ-Élysées. 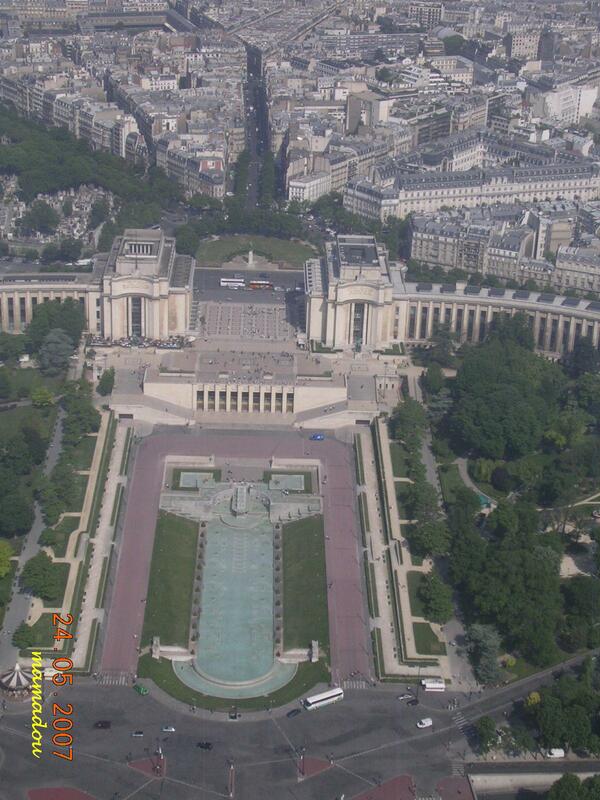 Place de la Concorde. 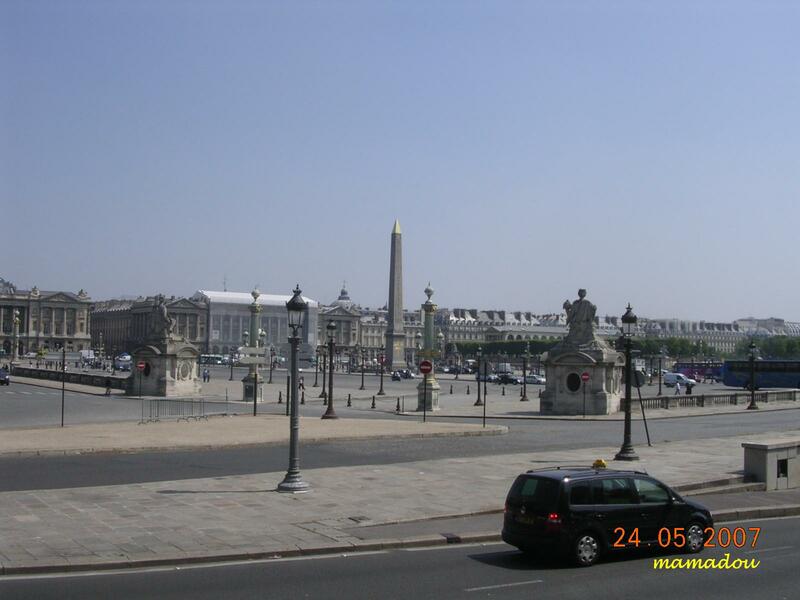 Laid out by Jacques-Ange Gabriel between 1757 and 1779, the square was originally dedicated to Louis XV, of whom there was an equestrian statuein the centre. Now in the centre stands the Egyptian obelisk from the temple of Luxor, given in 1831 by Mohammed Ali to Louis-Philippe and erected in 1836. It is 23 metres high and is adorned with hieroglyphics which illustrate the deeds of the pharaoh Ramses II. 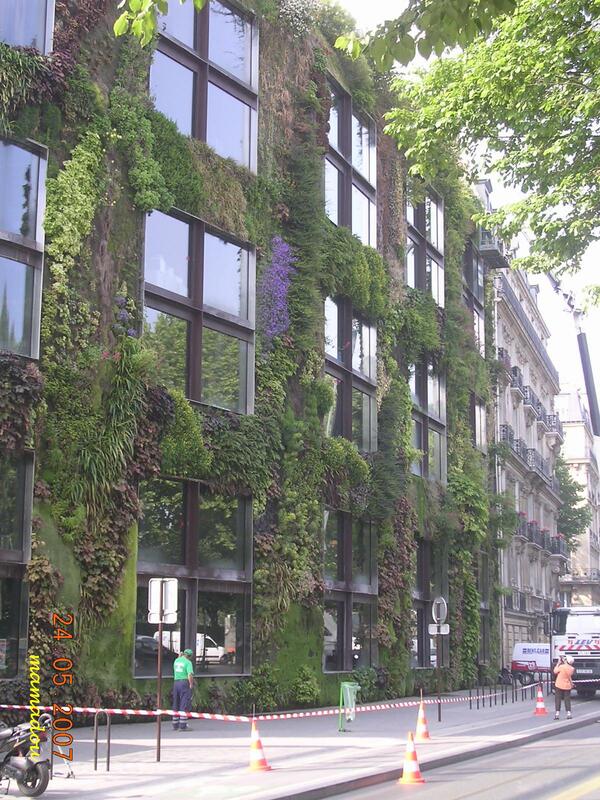 Is this building beautiful and its facade full with aesthetic value? 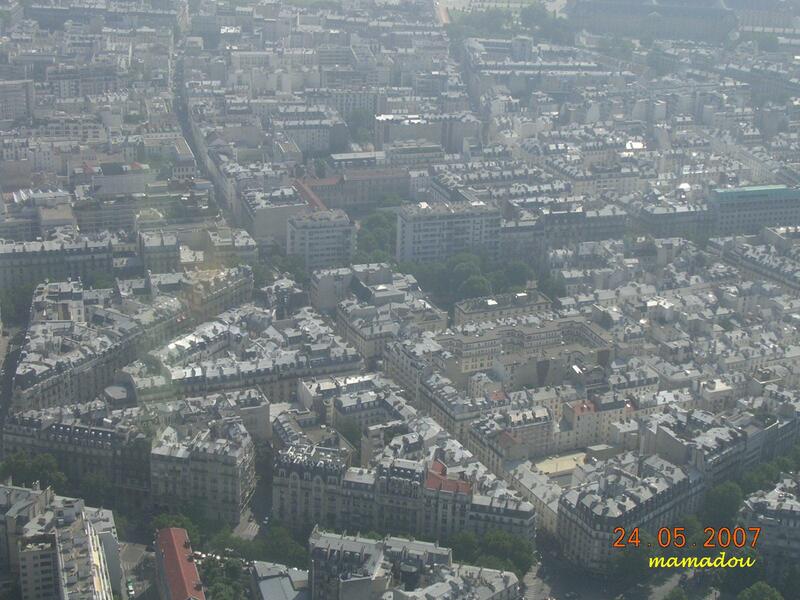 Paris is one of the most popular tourist destinations in the world, with over 30 million foreign visitors per year. 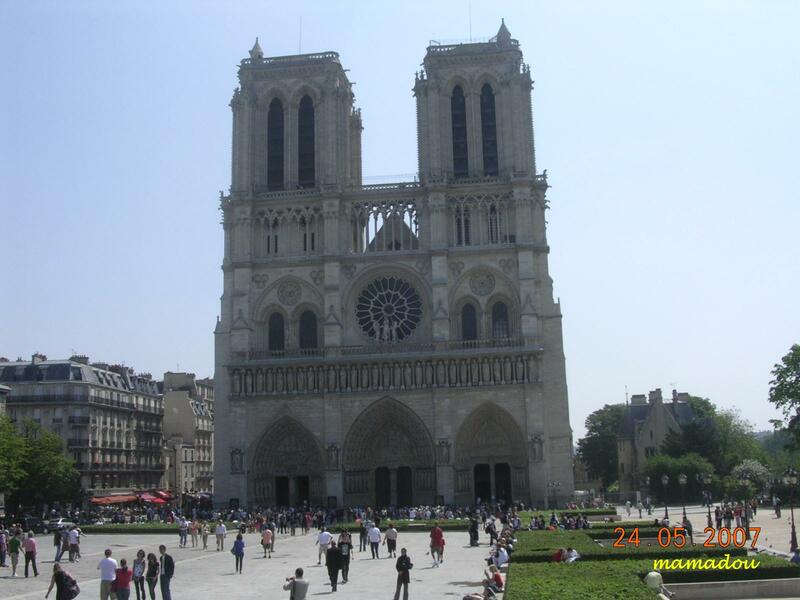 There are numerous iconic landmarks among its many attractions, along with world-famous institutions and popular parks. 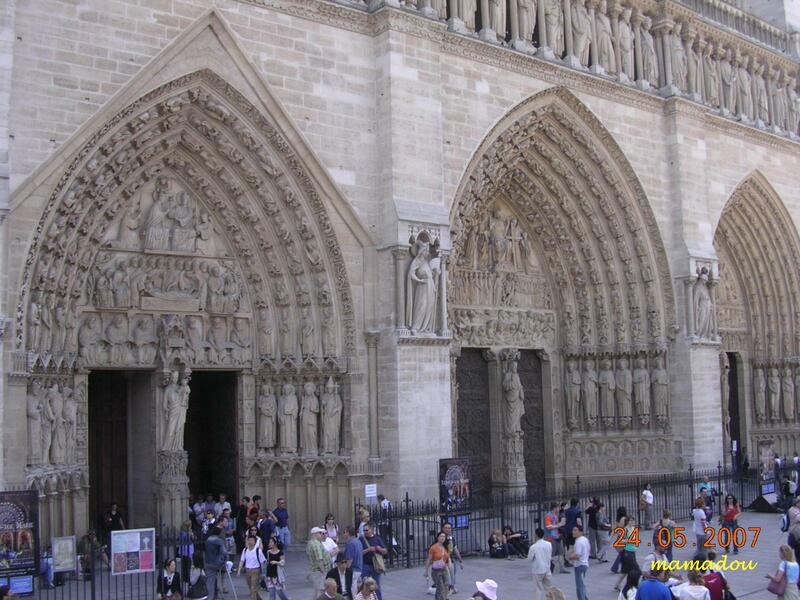 Three of the most famous Parisian landmarks are the twelfth century cathedral Notre Dame de Paris on the Île de la Cité, the nineteenth century Eiffel Tower, and the Napoleonic Arc de Triomphe. 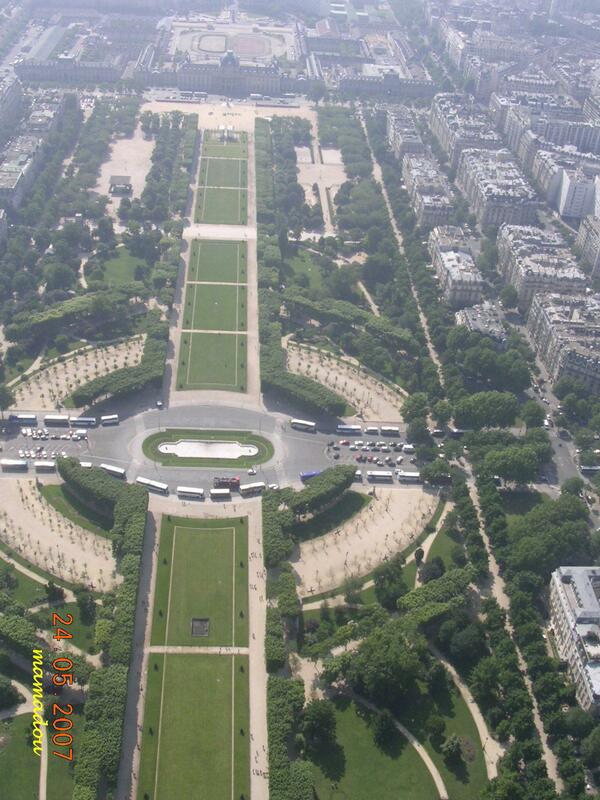 Two of Paris’ oldest and famous gardens are the Tuileries Garden, created from the 16th century for a palace on the banks of the Seine near the Louvre, and the Left bank Luxembourg Garden, another formerly private garden belonging to a château built for the Marie de’ Medici in 1612. 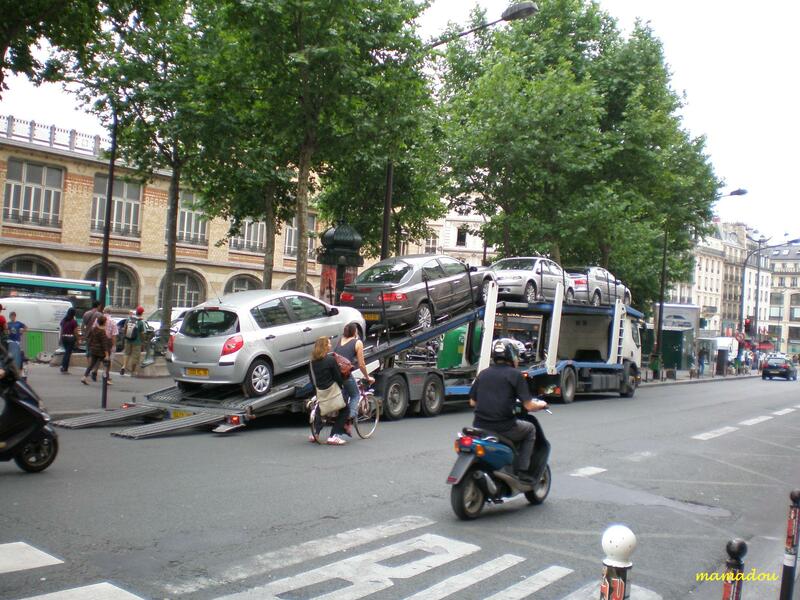 “Hey my friend, I you visit to Paris you must go to Pigalle. If not you visit will not complete”. 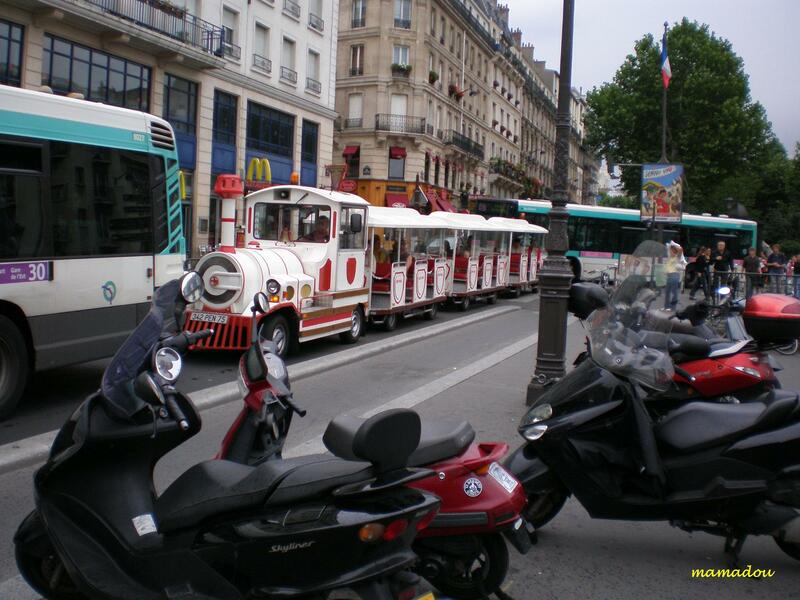 Thats what my friend have told me………..
Pigalle is an area in Paris around Place Pigalle, on the border between the 9th and the 18th arrondissements. It is named after the sculptor Jean-Baptiste Pigalle (1714–1785). 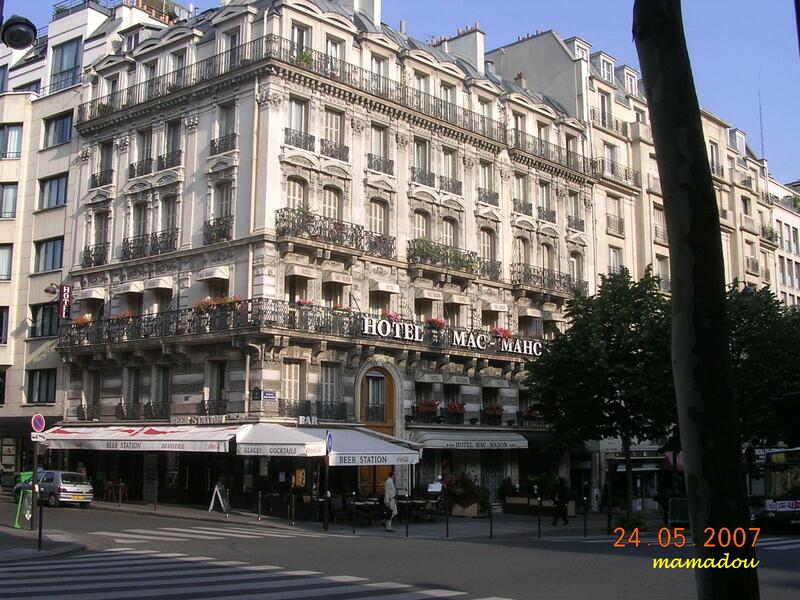 Pigalle is a well known spot for tourists who want to experience “Paris by night”. 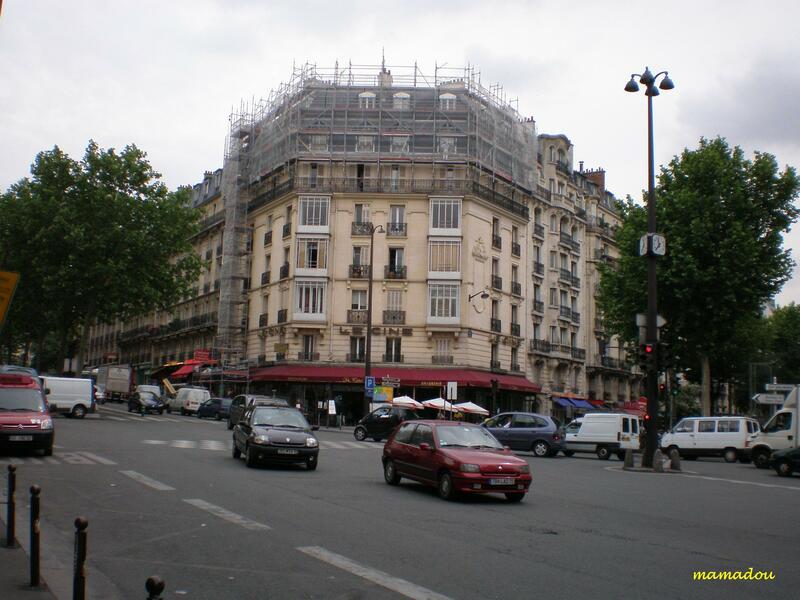 The Divan du Monde and the Moulin Rouge, a world-famous cabaret, are both located in Pigalle. 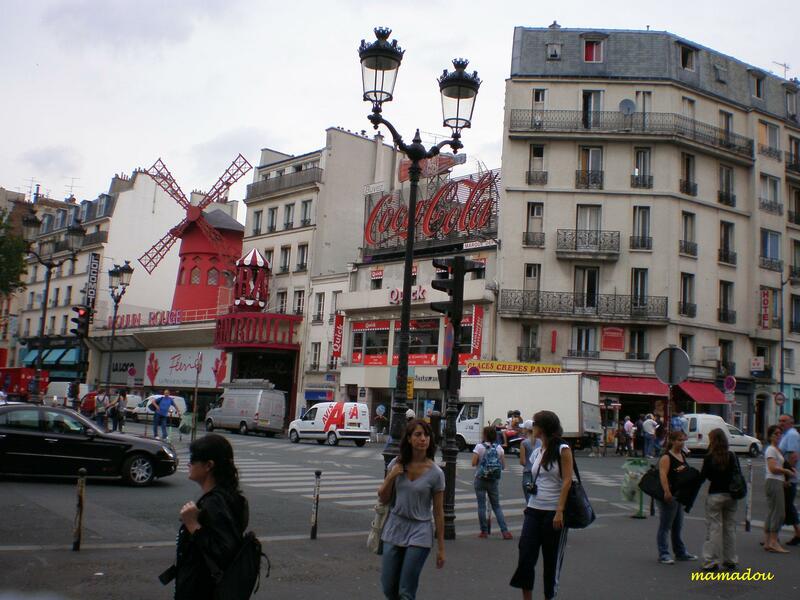 Moulin Rouge (French for Red Windmill) is a cabaret built in 1889 by Josep Oller. It is marked by the facsimile of a red windmill on its roof. The Moulin Rouge is a tourist destination, offering musical dance entertainment for adult visitors from around the world. Much of the romance of turn-of-the-century France is still present in the club’s decor. “Moulin Rouge” is the title of a book by Pierre La Mure, which was adapted as a 1952 film called Moulin Rouge, starring Jose Ferrer and Zsa-Zsa Gabor. Several other films have had the same title, including 2001’s Moulin Rouge!, starring Ewan McGregor and Nicole Kidman. Both the 1952 and 2001 films were nominated for the Academy Award for Best Picture. 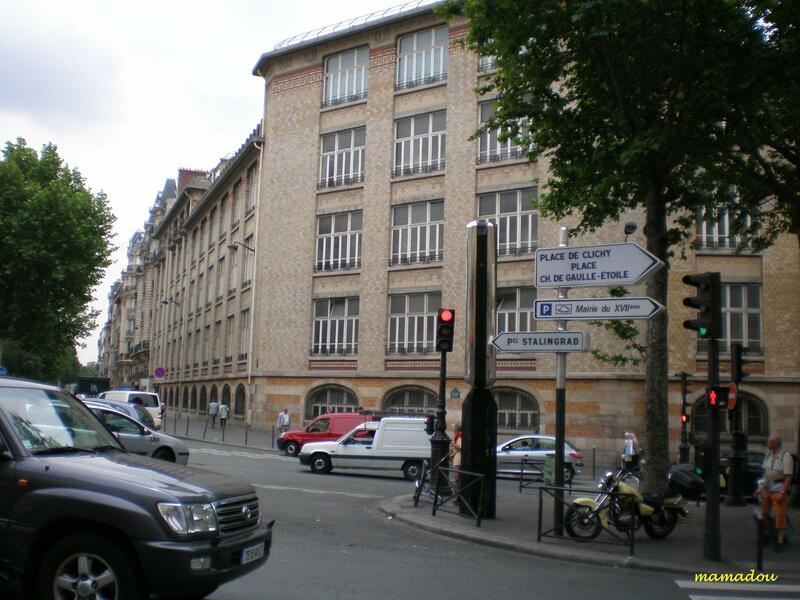 The area to the south of Place Pigalle is devoted to the retail of musical instruments and equipment, especially for popular music. A section of the rue de Douai solely consists of stores selling guitars, drums, and musical accessories. 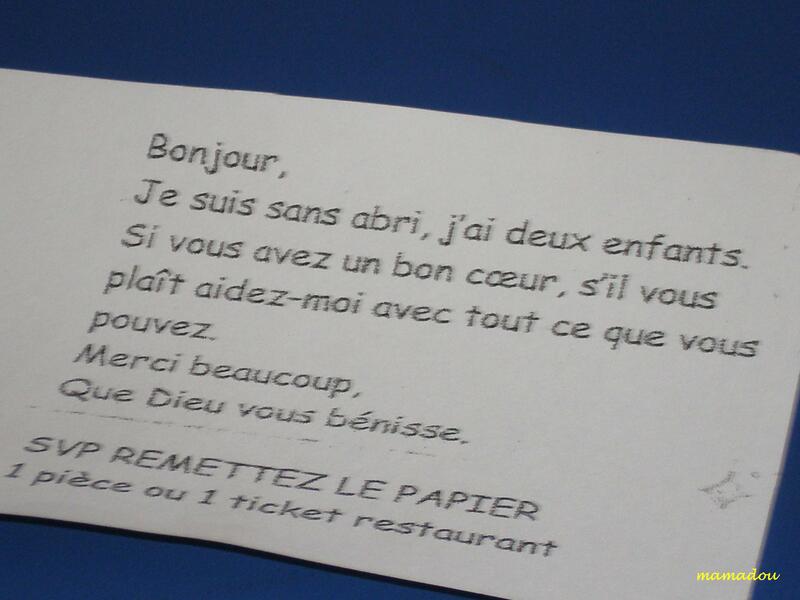 The note I received in the train. 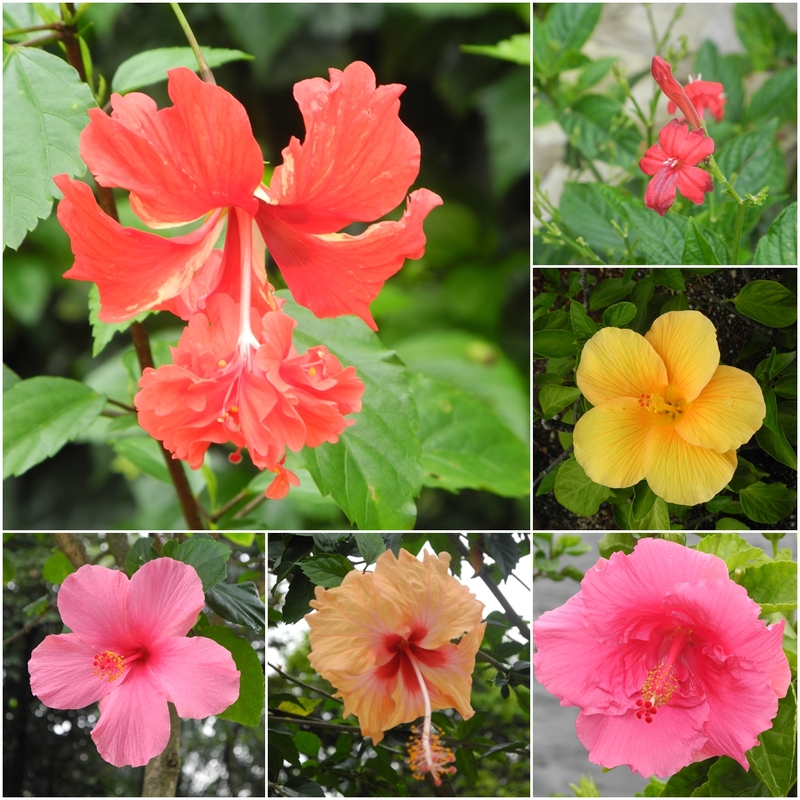 “Good morning. I am homeless, have two children. If you have a good heart, please help me whatever you can. Thanks a lot. May God bless you.” I thought would only receive such message in the thirld world countries. 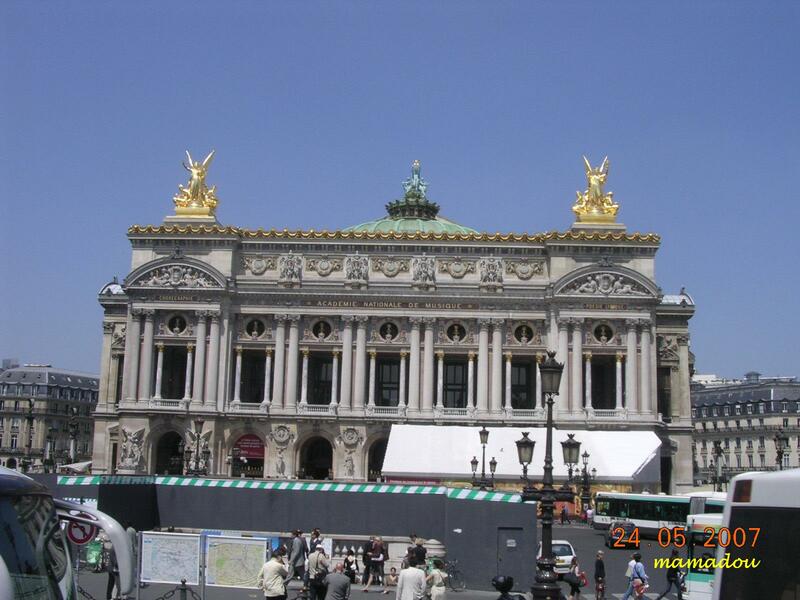 During one of many my stop over in Paris I made the journey to visit City of Paris. From Charles de Gaulle Airport (CDG) I took the Air France’s shuttle bus No.2 from terminal 2A to the Arch or Triumph. 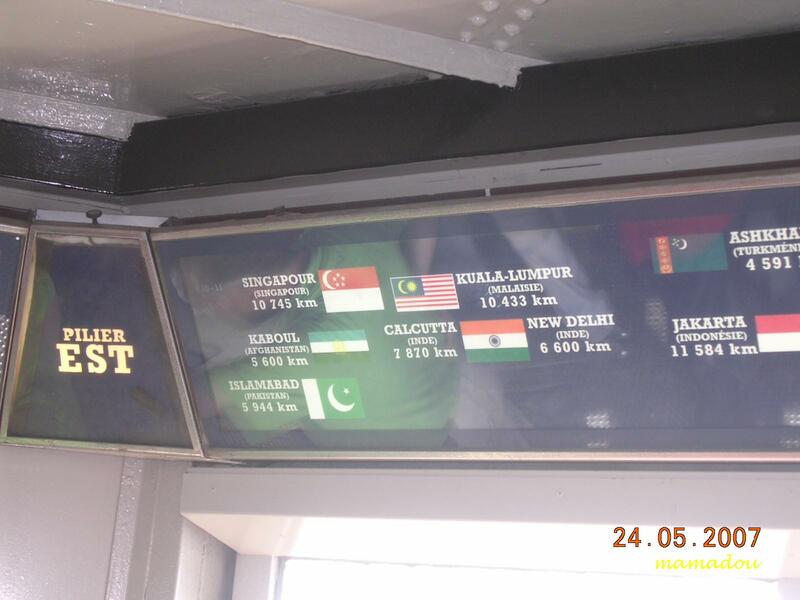 It cost only Euro13 for one journey and Euro20 for return journey. Upon arrived at the Arch of Triumph at 9.00am, city of Paris still very calm as in summer season still early for business activities becomes active. 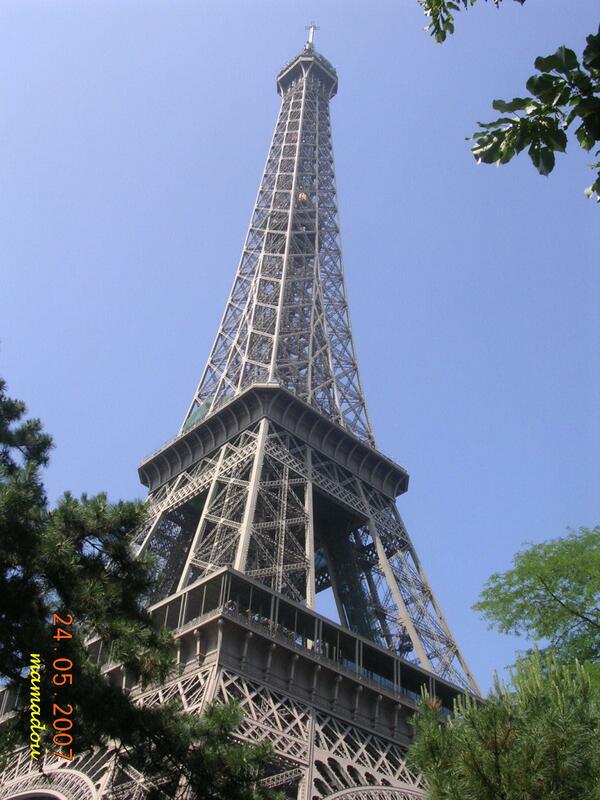 My first target was to visit icon of the world architecture, Eiffel Tower. 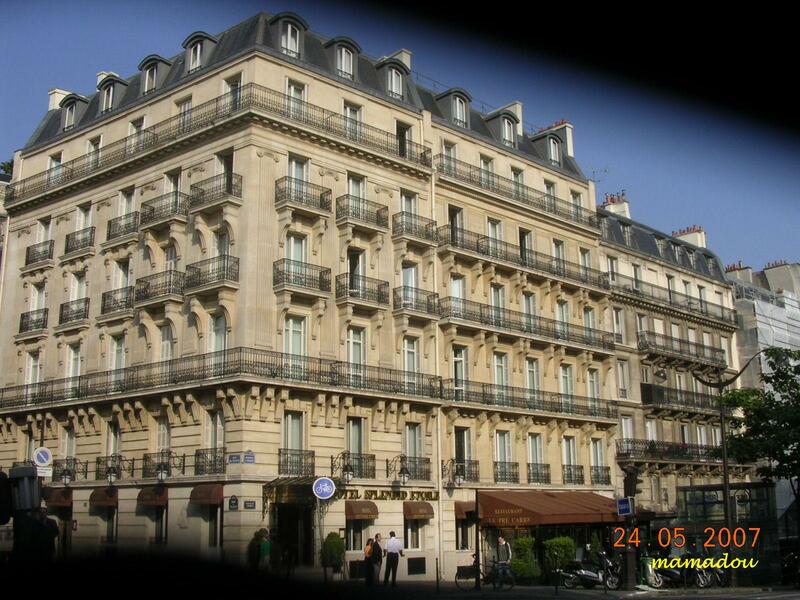 From there I strolled along the streets in Paris until I reach my destination. 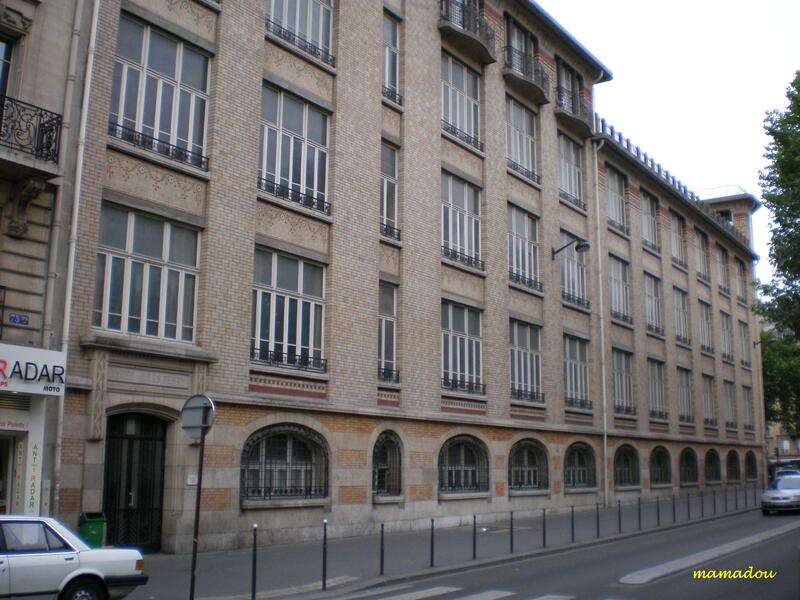 The distance covered quite extensive but being enjoyed having look at the beautiful buildings architecture and activities of Parisian in the morning. in the world. 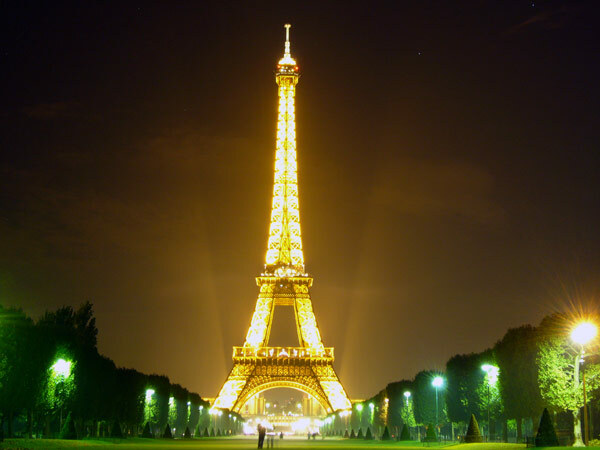 Named after its designer, engineer Gustave Eiffel, the Eiffel Tower is the tallest building in Paris and one of the most recognized structures in the world. Including the 24 m antenna, the structure is 325 m high (since 2000), which is equivalent to about 81 levels in a conventional building. 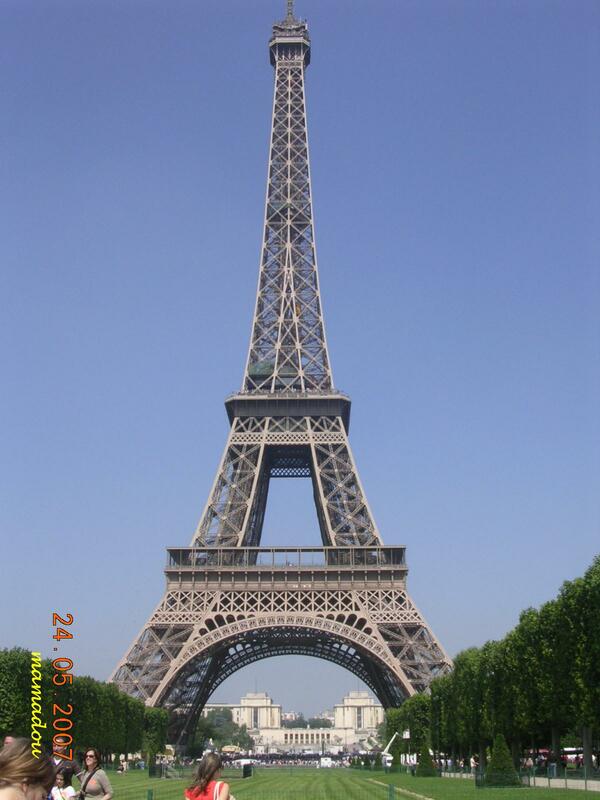 Eiffel Tower functions are as Observation tower and for Radio broadcasting tower. The first and second levels are accessible by stairways and lifts. 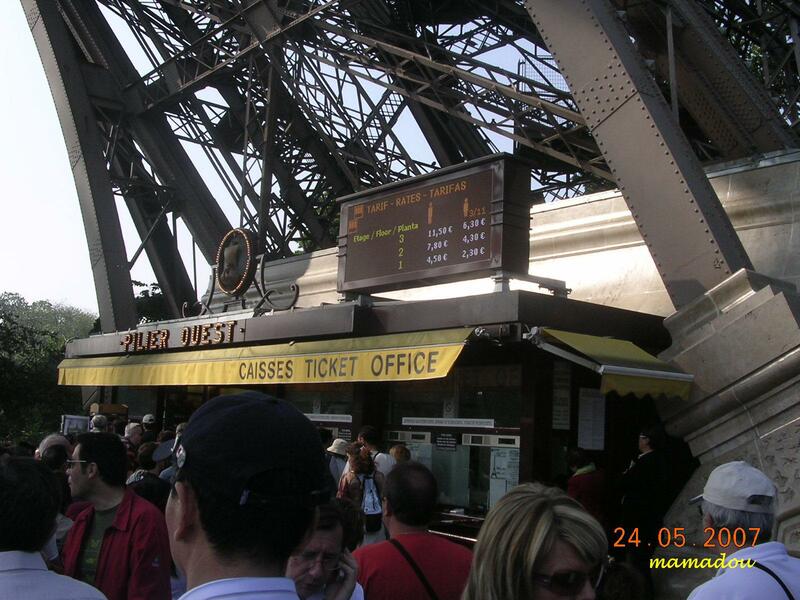 A ticket booth at the south tower base sells tickets to access the stairs which begin at that location. At the first platform the stairs continue up from the east tower and the third level summit is only accessible by lift. From the first or second platform the stairs are open for anyone to ascend or descend regardless of whether they have purchased a lift ticket or stair ticket. The actual count of stairs includes 9 steps to the ticket booth at the base, 328 steps to the first level, 340 steps to the second level and 18 steps to the lift platform on the second level. 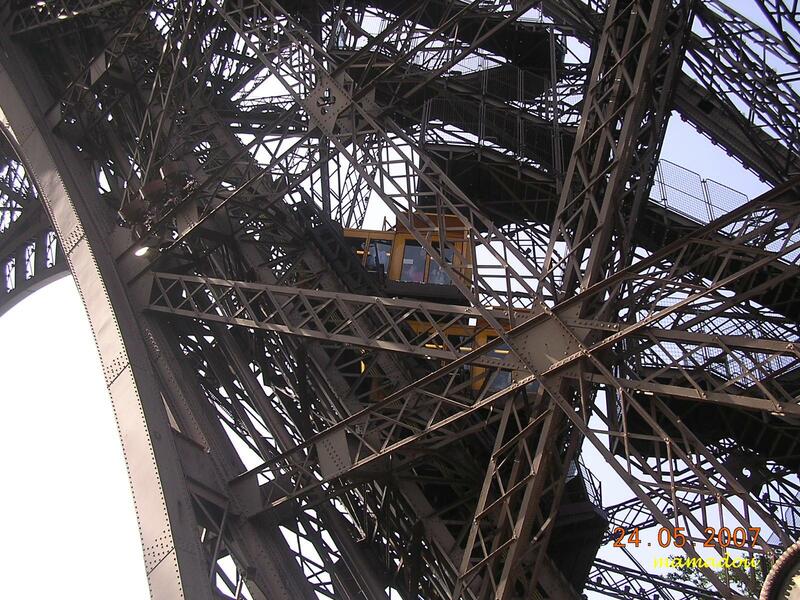 When exiting the lift at the third level there are 15 more steps to ascend to the upper observation platform. The step count is printed periodically on the side of the stairs to give an indication of progress of ascent. 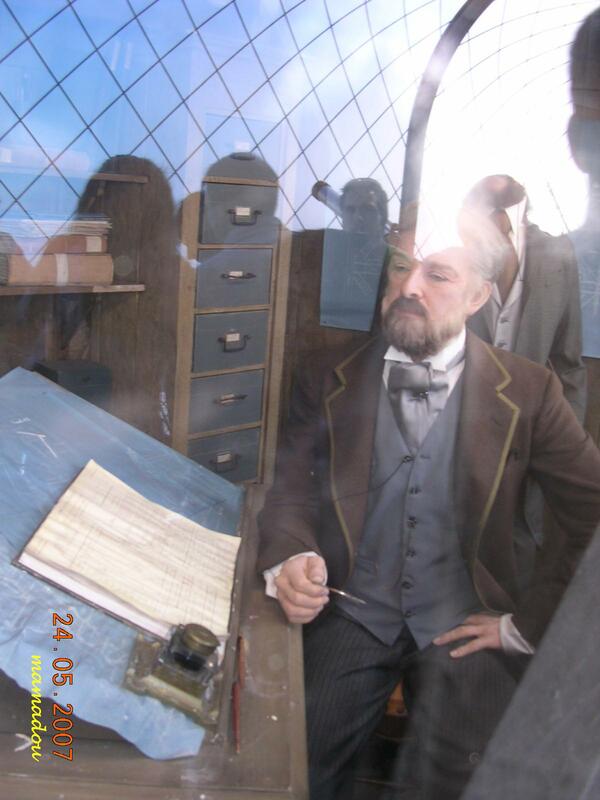 The co-architects of the Eiffel Tower are Emile Nouguier, Maurice Koechlin and Stephen Sauvestre. 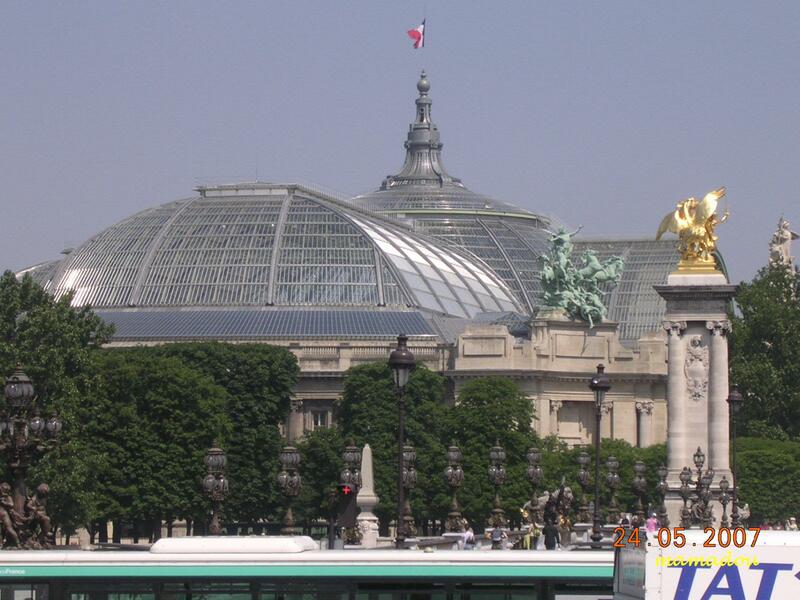 The structure was built between 1887 and 1889 as the entrance arch for the Exposition Universelle, a World’s Fair marking the centennial celebration of the French Revolution. 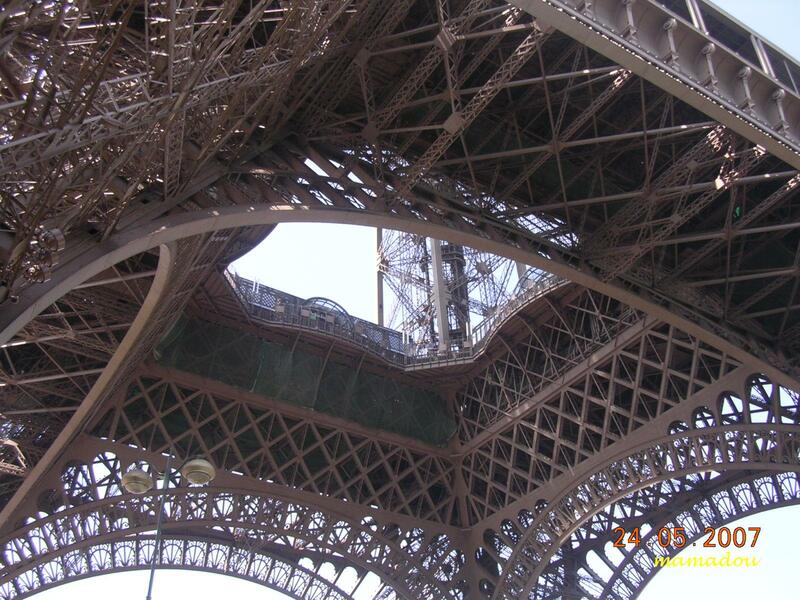 The tower was inaugurated on March 31, 1889, and opened on 6 May 1889. 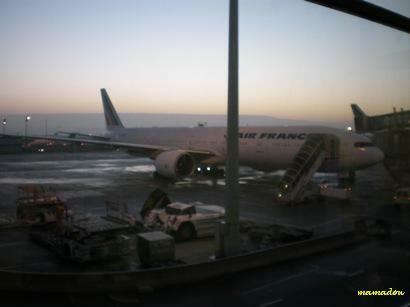 Landed in CDG at 6.05am morning. Cold weather in the winter season welcome me. At the exit door , I notice that I was not usher to the aerobridge but to the passenger buses that already waiting on the tarmac. I feel very cold, tired and sleepy. I walk slowly but steady to the waiting bus. Eh eh , I am not going to Terminal 2C where I used to transit when out from Africa with AF. The bus finally stop at Terminal 2E. 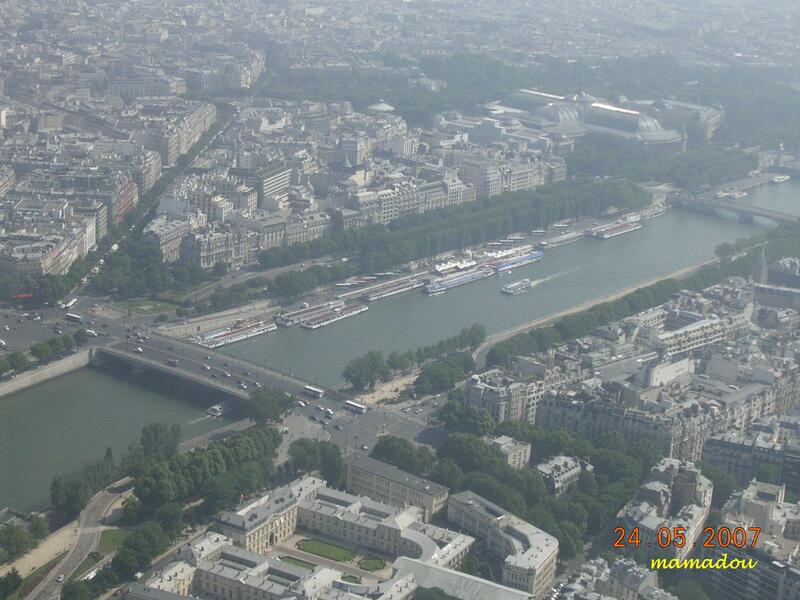 This time I am not going to jalan-jalan, because the weather not suit me to wander in Paris. Furthermore I am very tired and sleepy. So go to the waiting lounge of Terminal 2E. After arrived from Cotonou at 7.00pm on 9 December, I quickly arrange myself at home to get a short rest. Tomorrow early morning of 10 December 2007 Coulibally will arrive from KCH at 2.30am via DXB and CMN after a long holiday. I went to airport at 2.00am. Wait and wait, the arrival of Coulibally delay for another 1 hour. That’s normal. The weather was quite cold about 15C and windy too. It was not really comfortable to wait in the open space in this kind of weather. But what is the choice. Everybody is waiting like me too. Coulibally finally arrived and he had a quick puff then he announces that he like to have café au lait. Where else other than the usual restaurant that almost 24hours in business, Le Relax. After we have finished our coffee and catch the time we lost for the last 2 months, the time already almost 6.00 am. 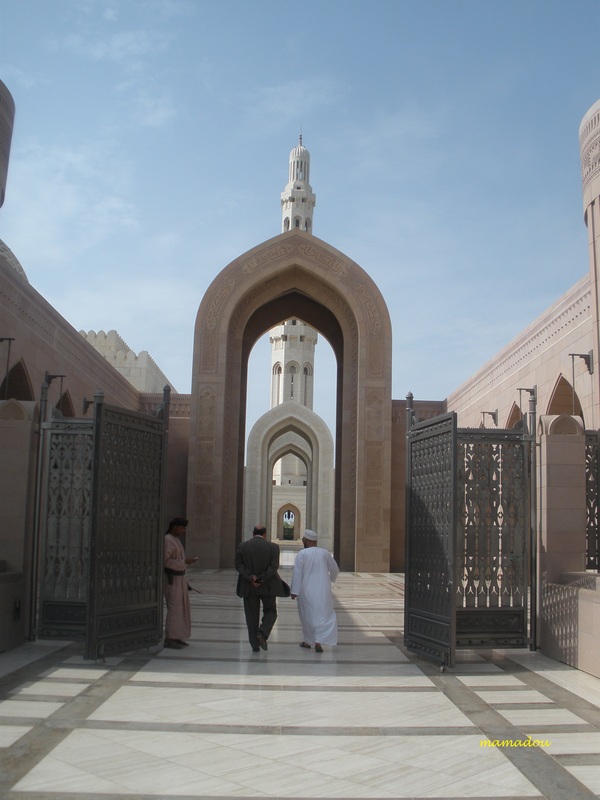 Quickly rush to our house in Hamdallaye, solah Faj’r and rest as the tight schedule awaiting us. My flight BKO-CDG-SIN-KUL schedule to depart at 11pm of 11 December 2007 and on this date, I busy with Coulibally to sort out some administrative and financial matters. Rest. Packing. Have dinner at Amandine and then to the airport. So hectic. the terminal looking for the best place to rest. Then my eye caught to the nice and beautiful couch. 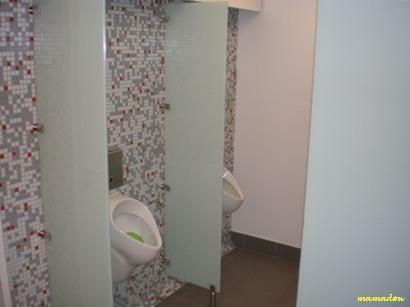 Lucky there is one without occupant. What else, have a good rest and sleep. When I wake up I saw one technician do some testing to the Playstation. What else to do other than readings magazine, a book and sleep again. Then I look up to the ceiling. Very high and they have this type of ceiling. And the AF plane is on the parking apron, ready to fly me to SIN at 11pm.